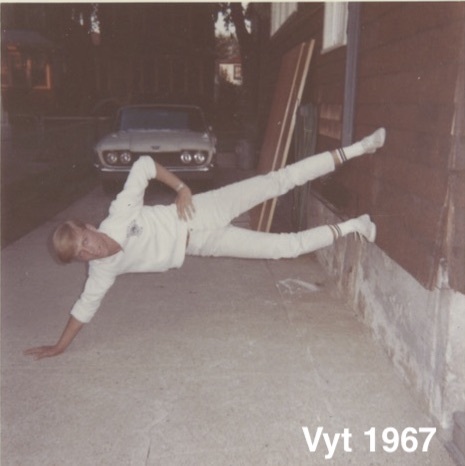 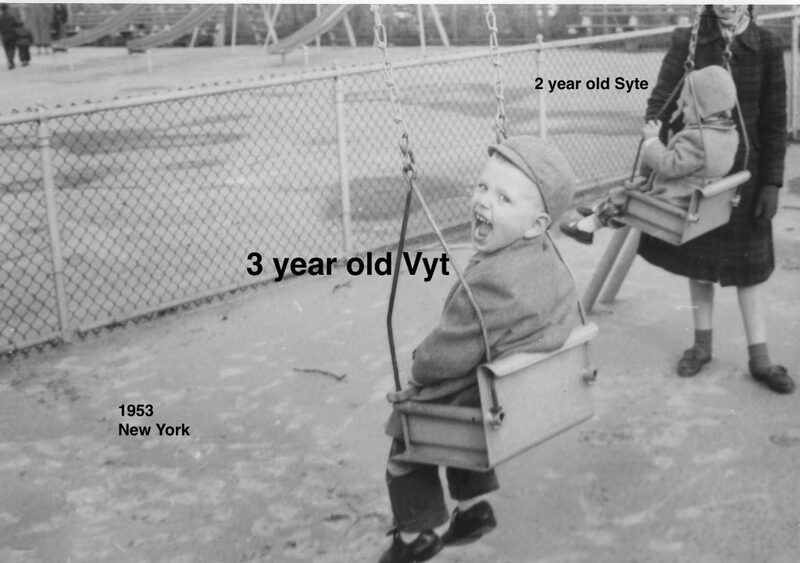 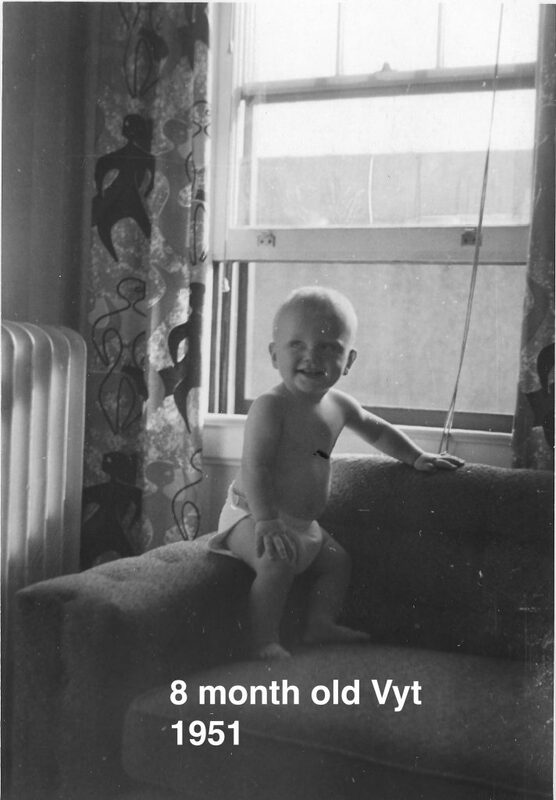 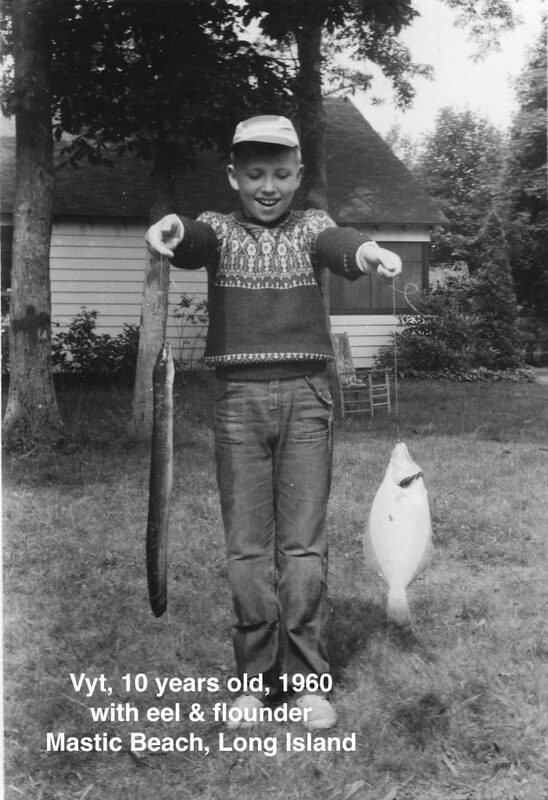 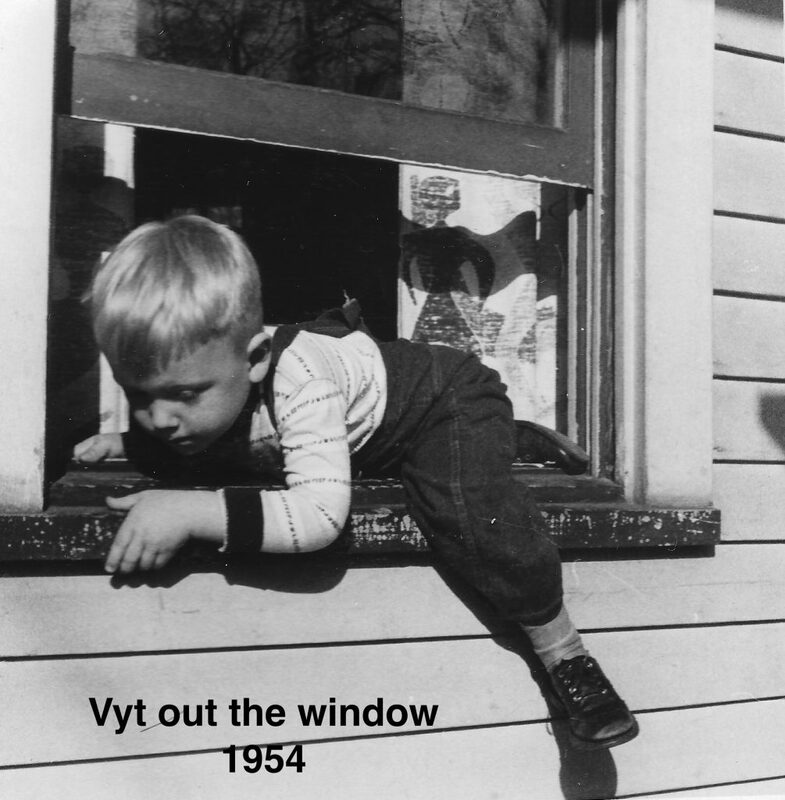 A photo history from my brother “Vyt’s” childhood photo album. 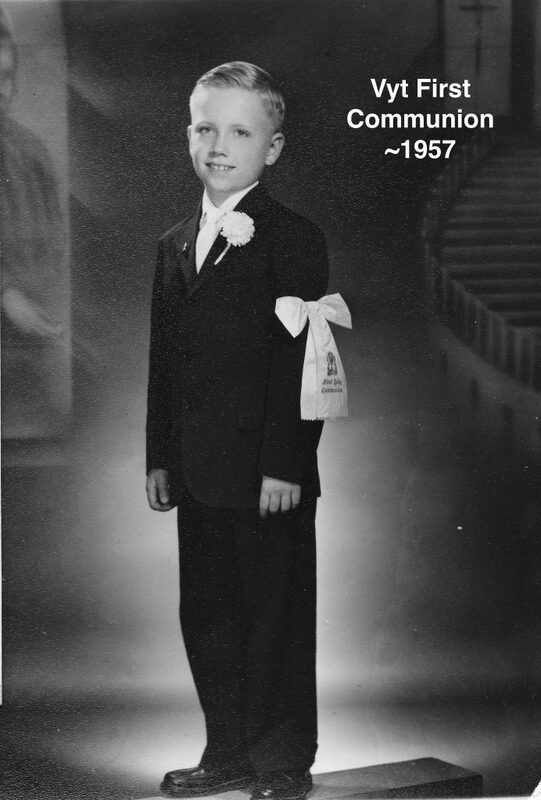 On Wednesday, February 25, 1987, Fr. 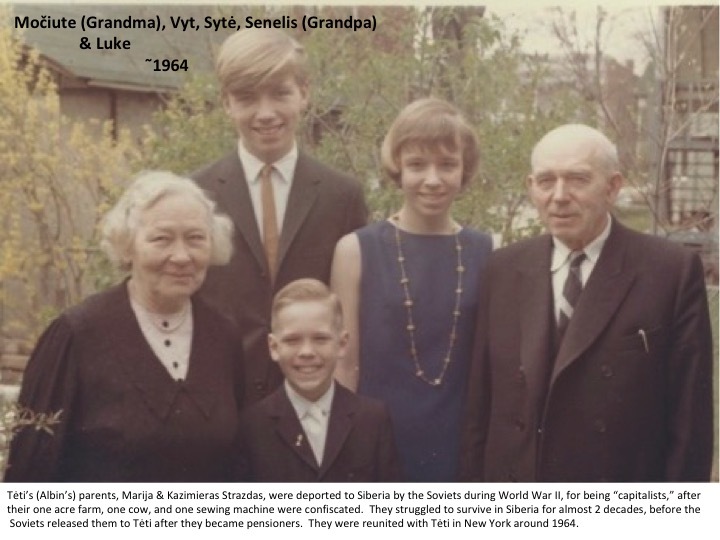 John Pakalniškis offered the prayer at the United States House of Representatives commemoration of the 69th anniversary of the Independence of Lithuania. 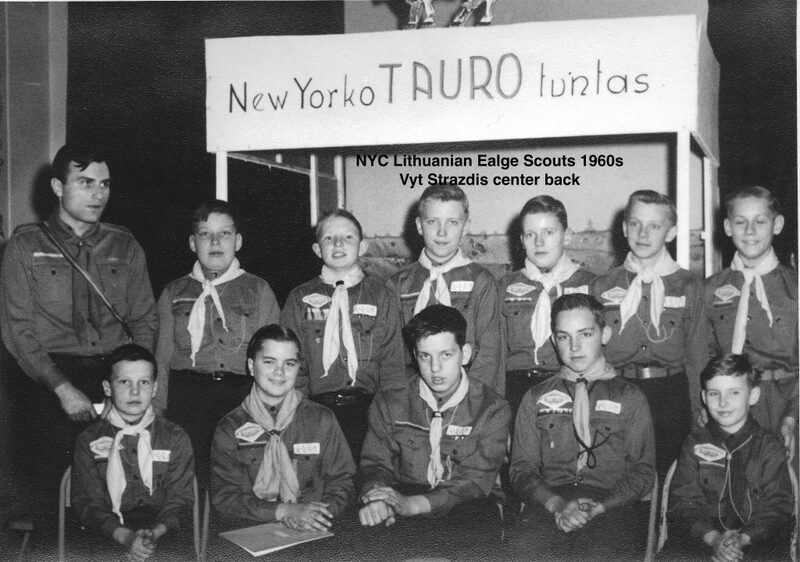 Father Pakalniškis was (in 1987) the supreme chaplain to the Lithuanian Scouts Organization, as well as the vice president of the Lithuanian Priests’ League of the United States. 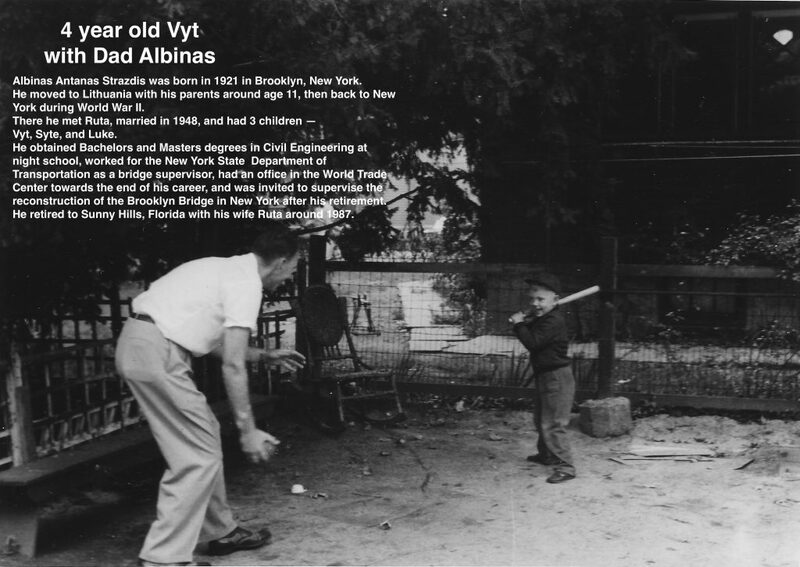 He was born in New York City, and when he was 6 years old in 1921, Father Pakalniskis moved with his parents to Lithuania, where he completed his education. 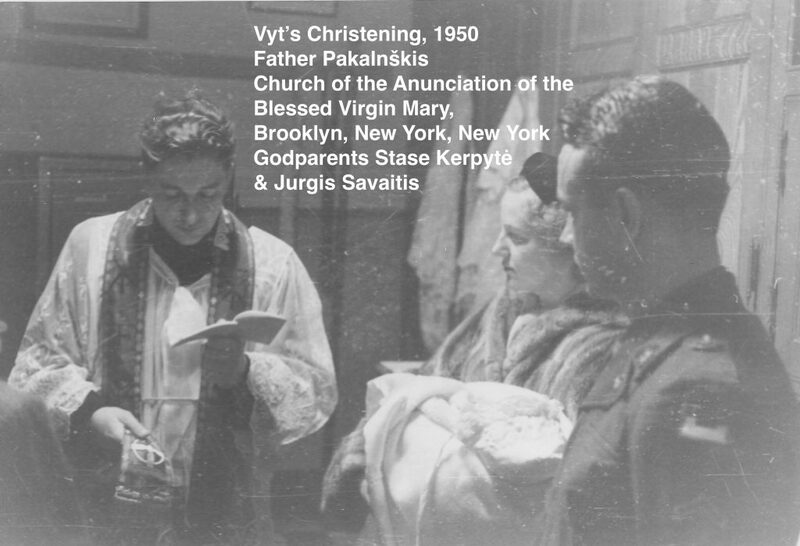 Ordained to the priesthood on June 3, 1939, Father Pakalniškis also graduated from the University of Vytautas the Great in Kaunas, Lithuania, that same year. 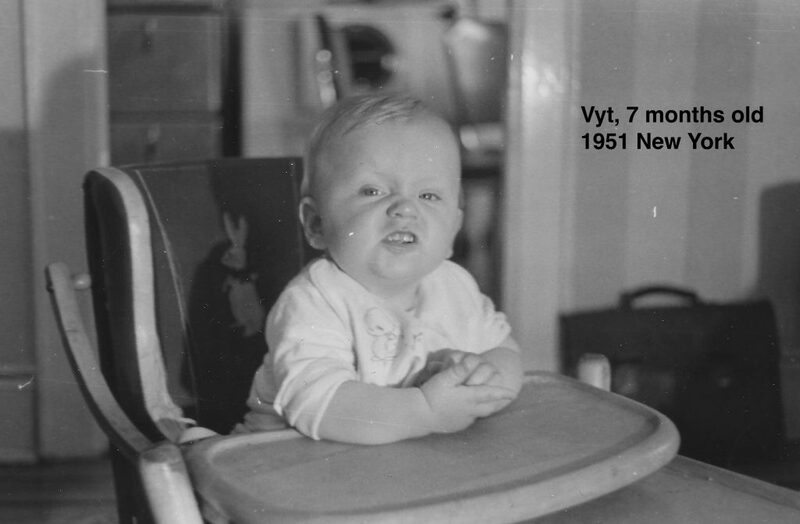 His first assignment was the assistant at the Cathedral Church in Kaunas,where he also taught religious courses. 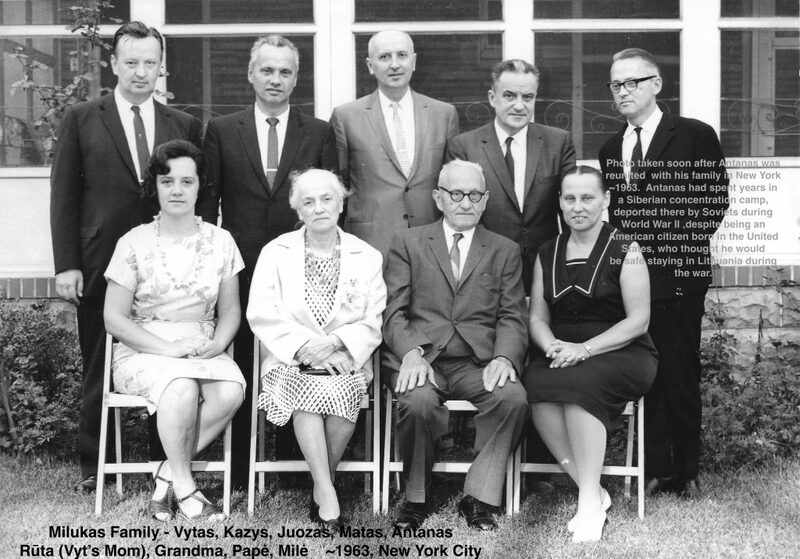 On June 7, 194 7, Father Pakalniškis came to the United States, and served as assistant pastor to three parishes in Brooklyn, until July 16, 1978, when he was appointed the pastor of the Annunciation Church. 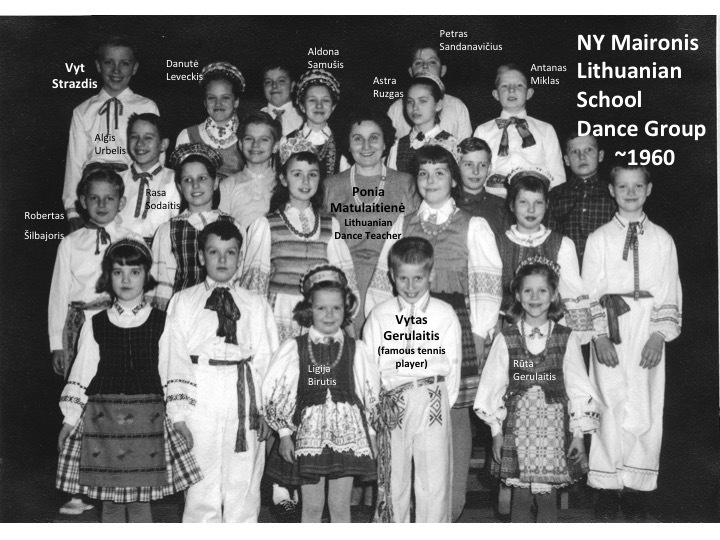 Father Pakalniškis taught generations of children religion at our Maironis Lithuanian Saturday school in Brooklyn, celebrated Masses for the school, and was chaplain for numerous groups, including the Lithuanian Scouts. 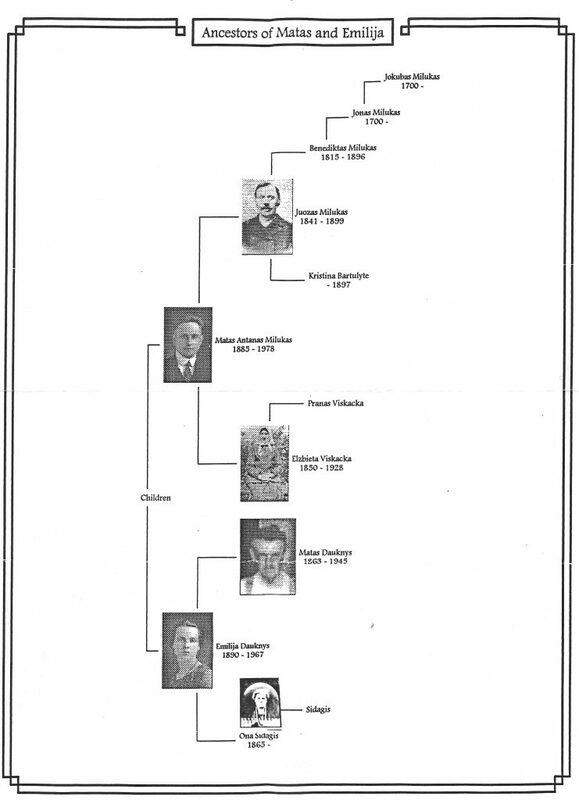 Father Pakalniškis officiated at the wedding of Ruta & Albinas Strazdis, the baptism of their children, Albert Vytas, Joan Ruta (Syte), and Lucius Algis. 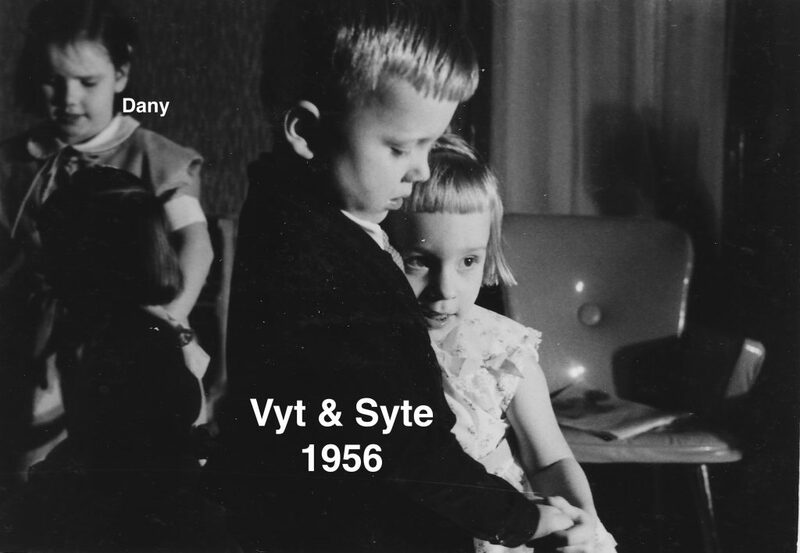 He also baptized Syte’s children Christopher Vytas and Tomas Jan, and officiated at Syte and Rolf’s wedding at Anunciation Parish. 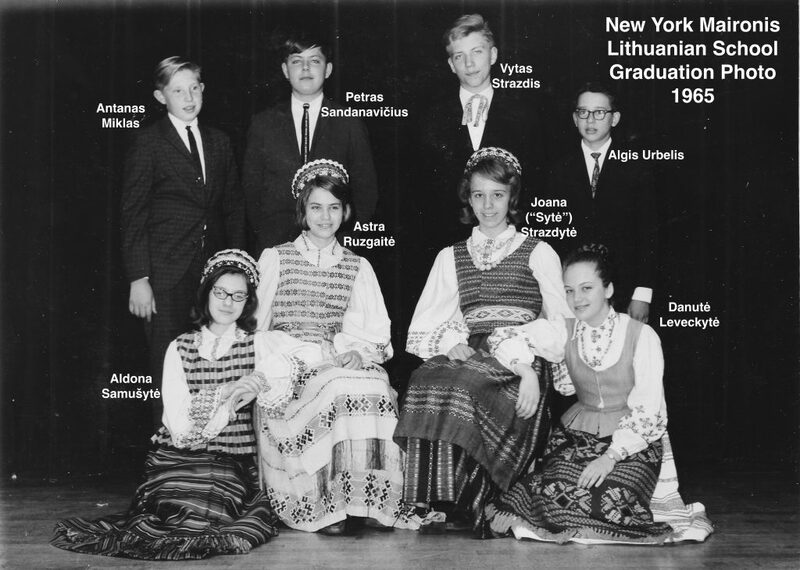 He was a spiritual father to numerous Milukas families and other New York Lithuanian families at the Church of the Annunciation in New York, and was truly a priest after Christ’s own heart. 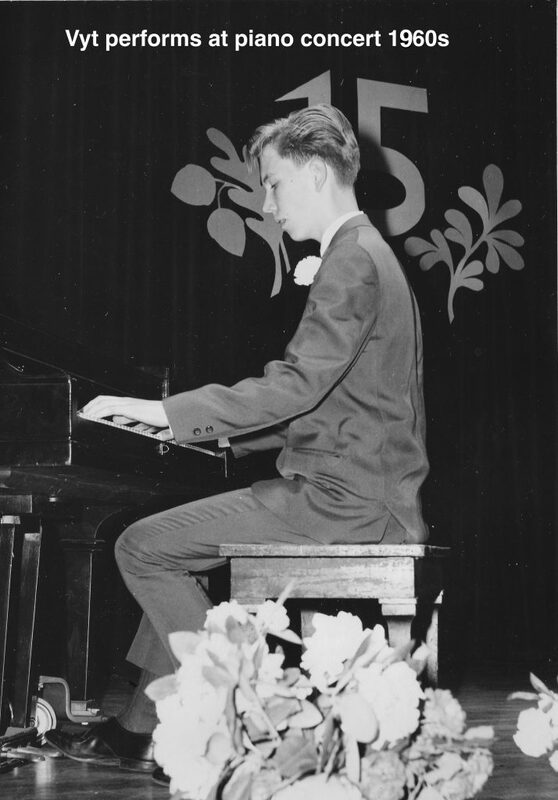 In 1906, at the age of 21, Matas emigrated to the US, served as organist in Maspeth and Brooklyn, New York, and did volunteer work several days per week for his brother Fr. 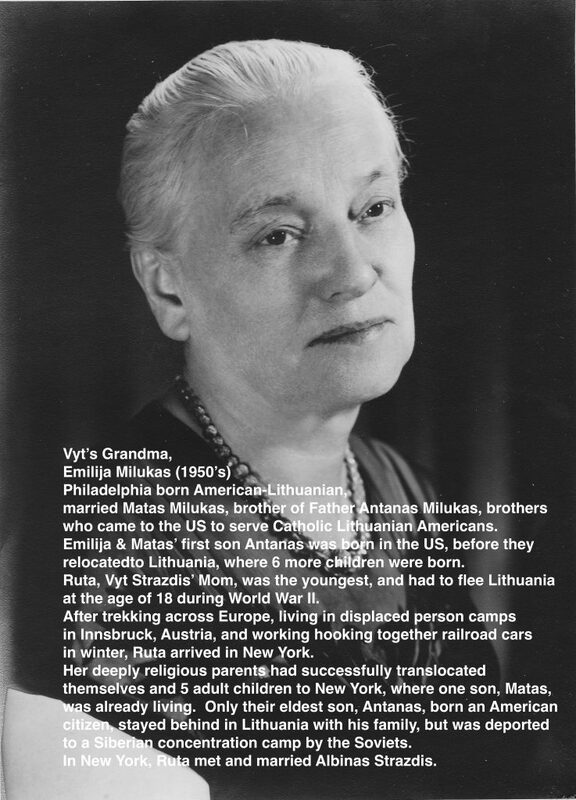 Antanas Milukas in Philadelphia, publishing Lithuanian books and newspapers, and teaching religion at his brother’s parish. 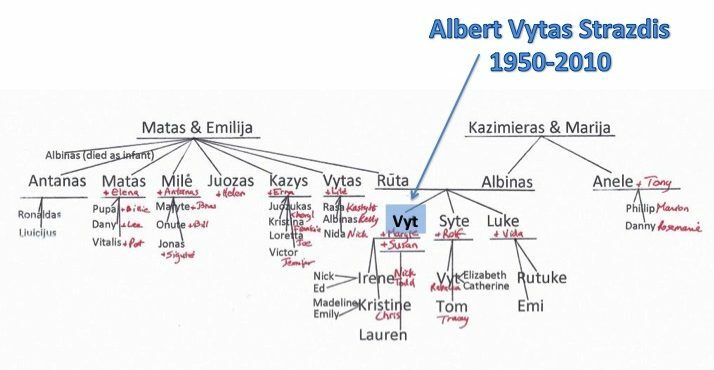 After marrying Emilija Dauknys, and having one son, Antanas, they returned to Lithuania in 1920, where the rest of their family was born and raised. 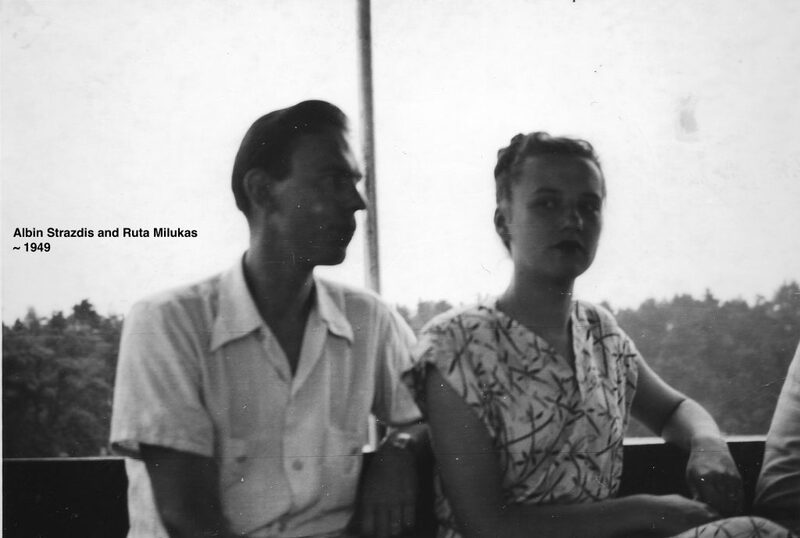 Matas worked in the Bank of Lithuania in Kaunas, and was fluent in over 5 languages. 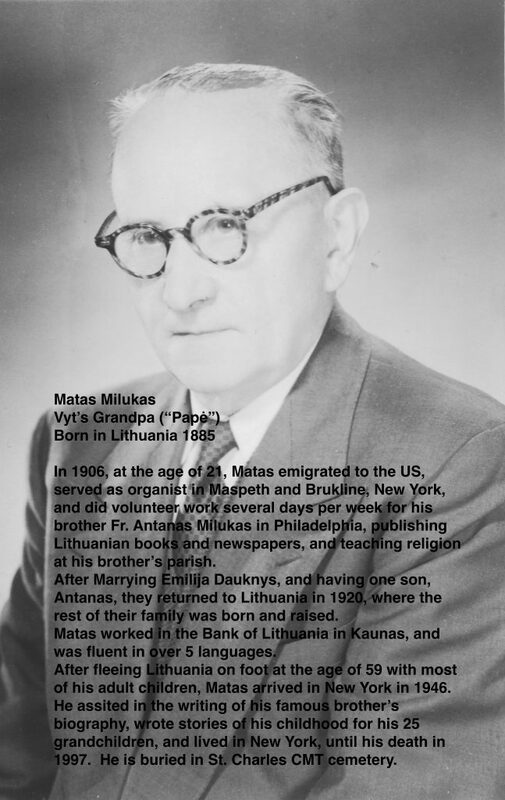 After fleeing Lithuania on foot during World War II at the age of 59 with most of his adult children, Matas arrived in New York in 1946. 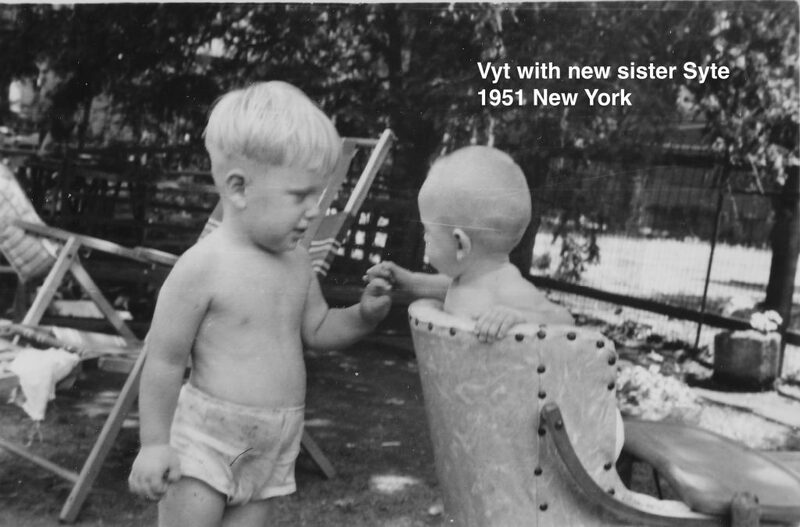 He assisted in the writing of his famous brother’s biography, wrote stories of his childhood for his 25 grandchildren, and lived in New York, until his death in 1997. 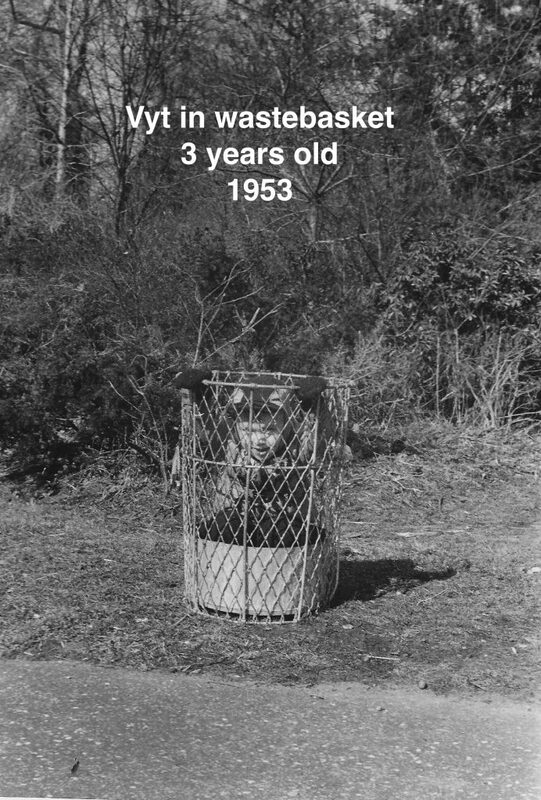 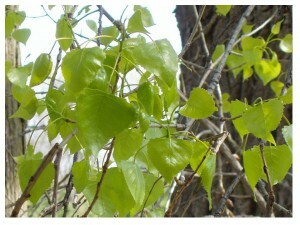 He is buried in St. Charles CMT cemetery. 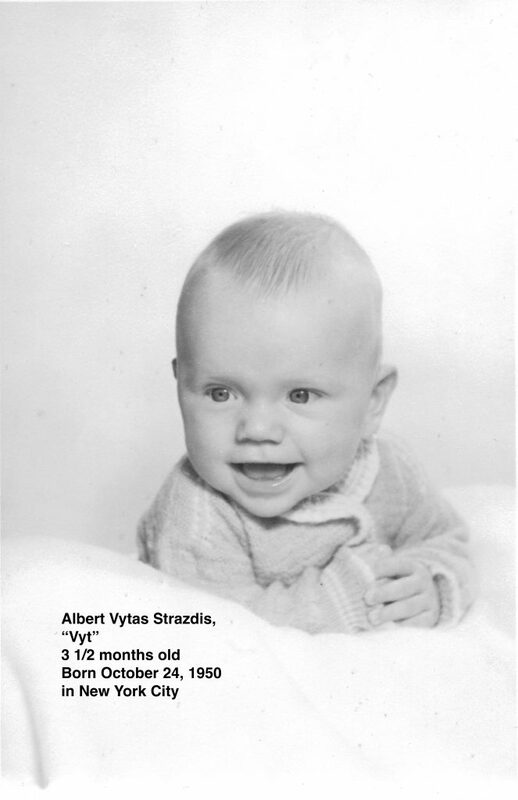 Albinas Antanas Strazdis was born in 1921 in Brooklyn, New York. 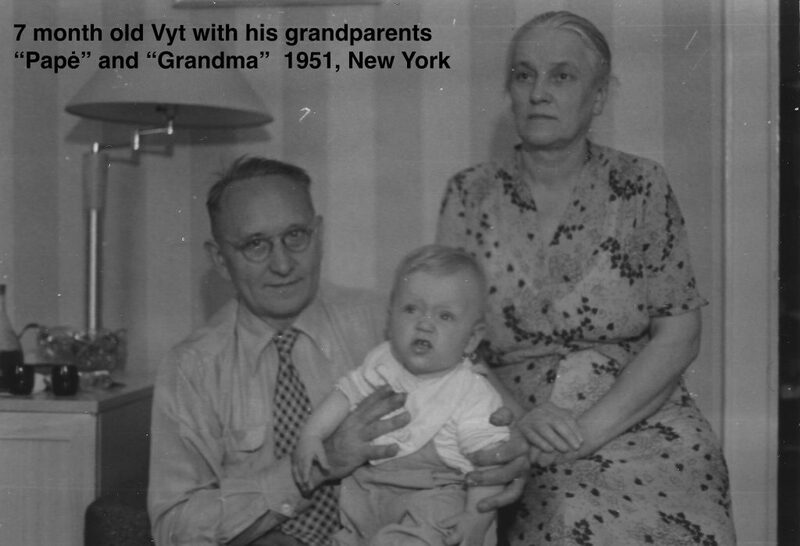 He moved to Lithuania with his parents around age 11, then back to New York alone during World War II. 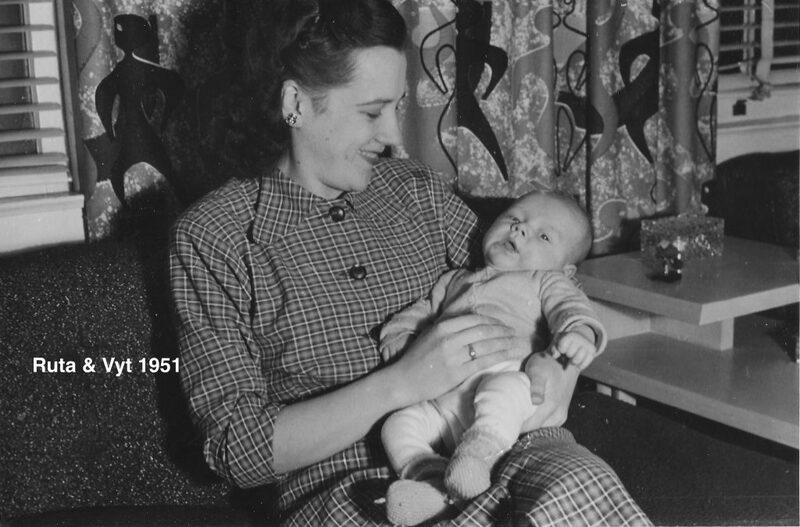 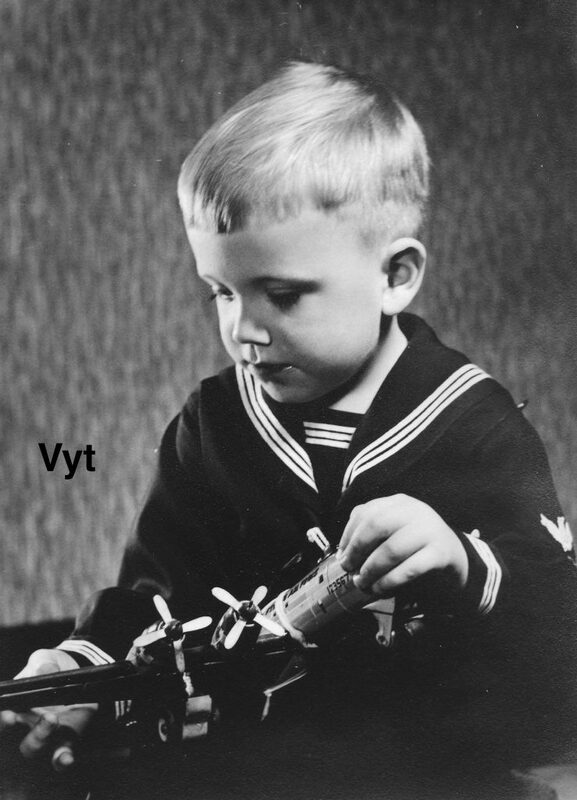 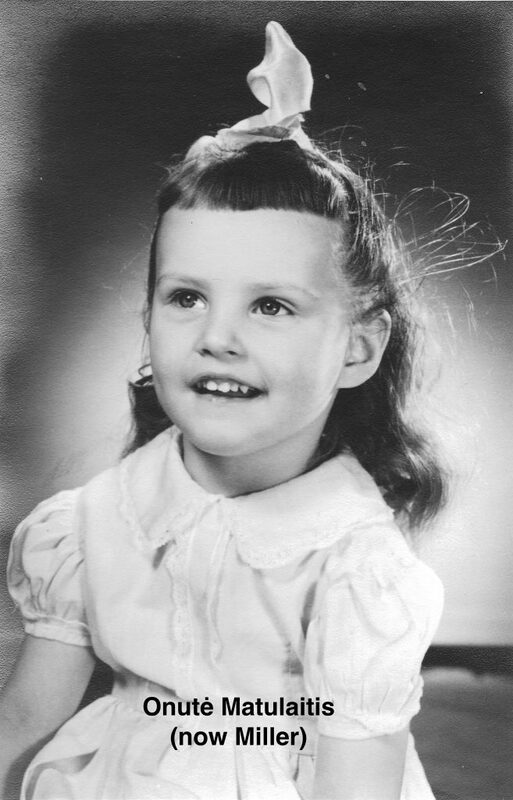 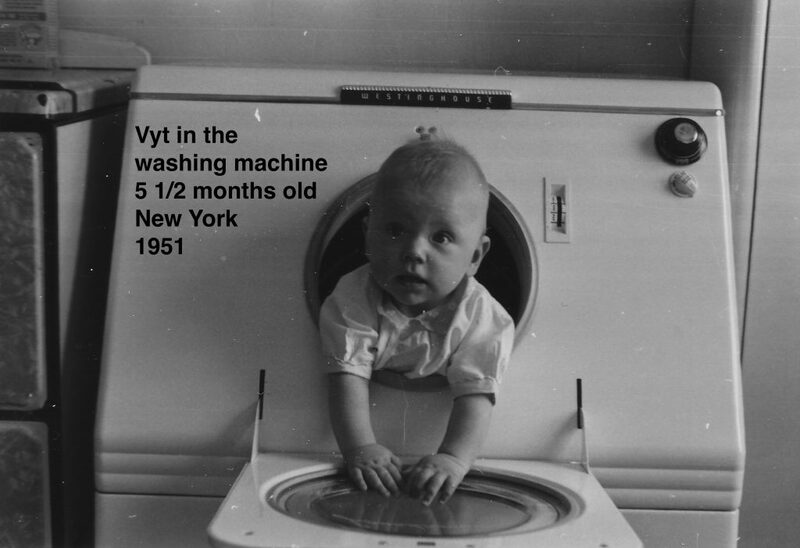 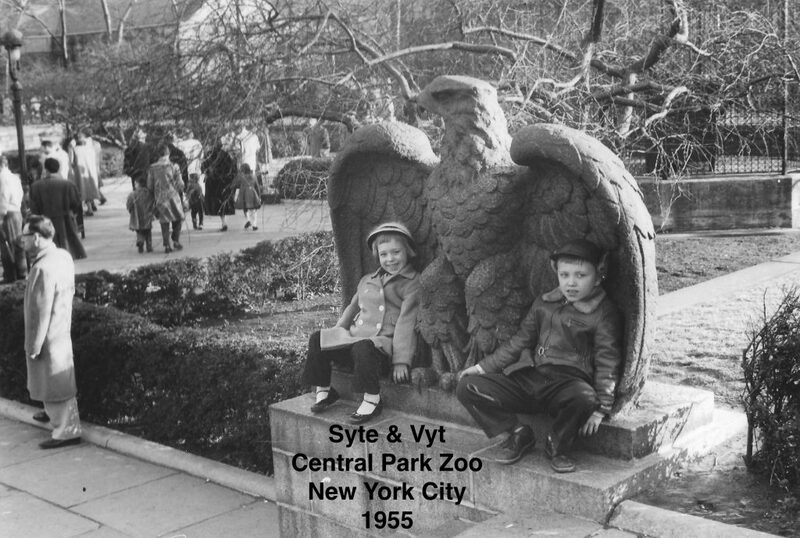 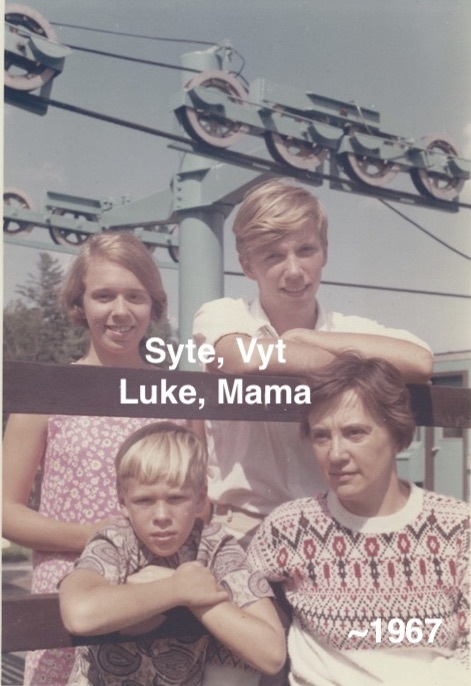 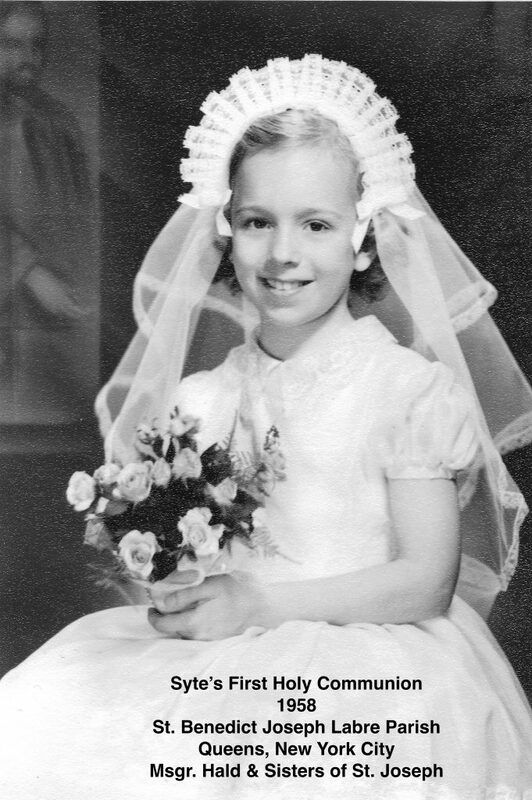 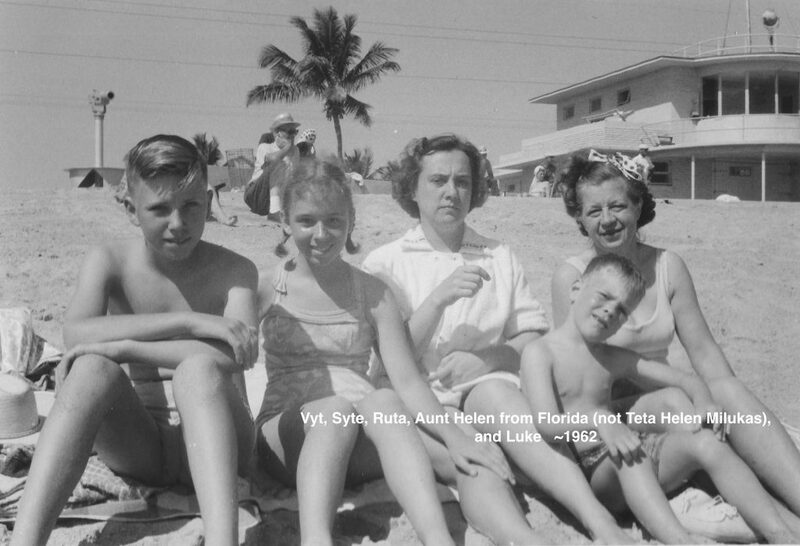 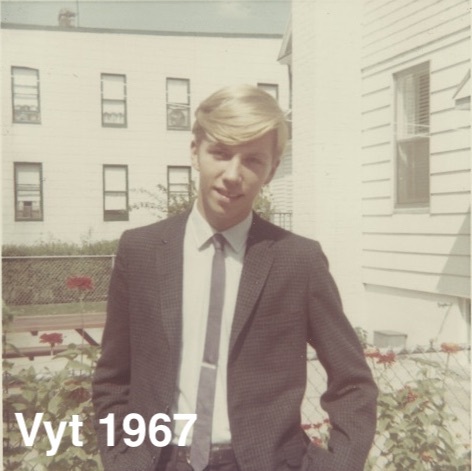 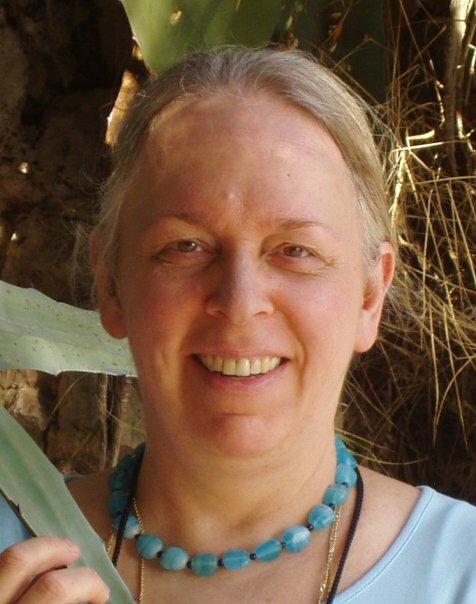 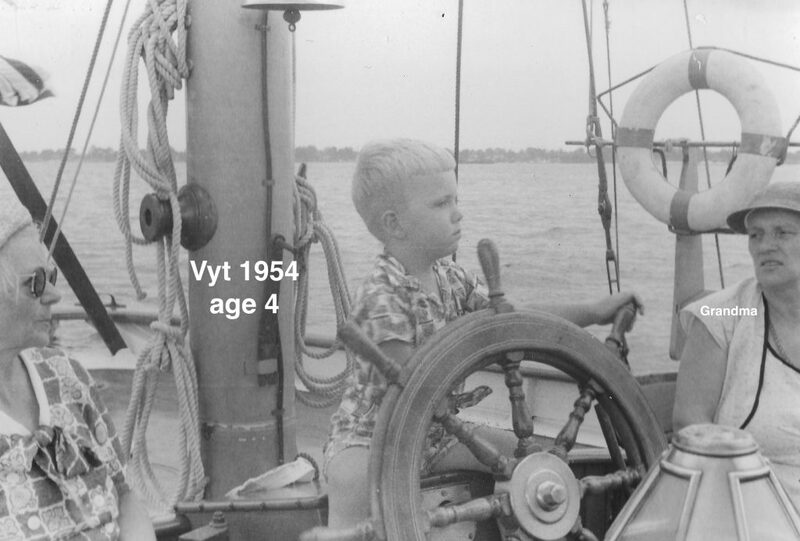 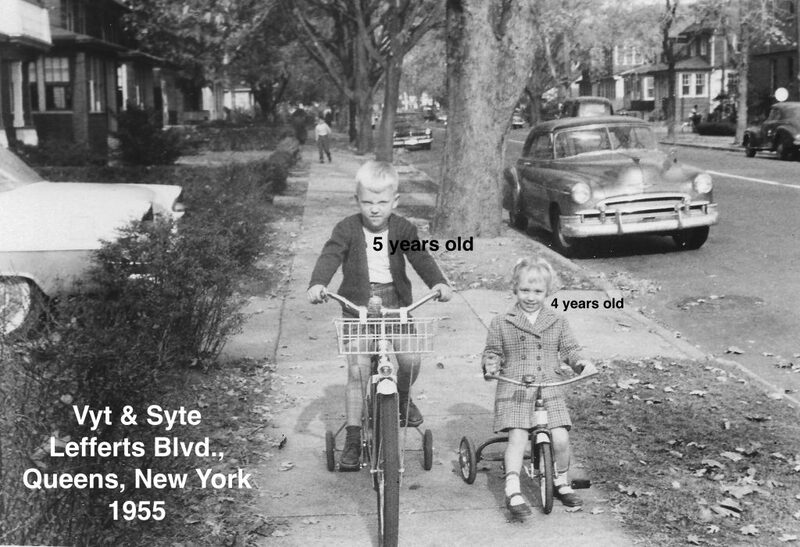 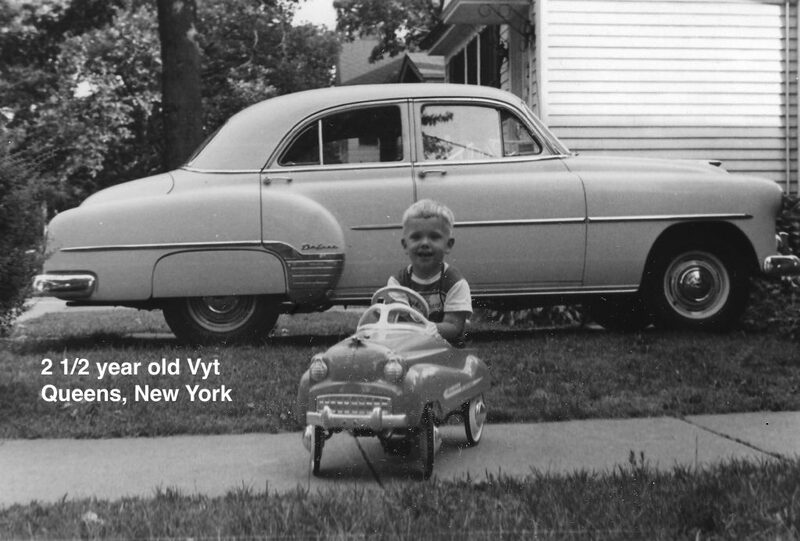 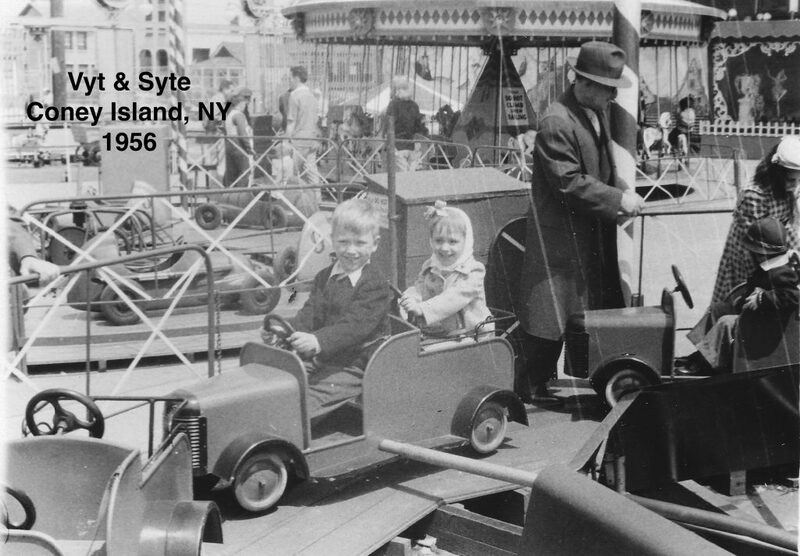 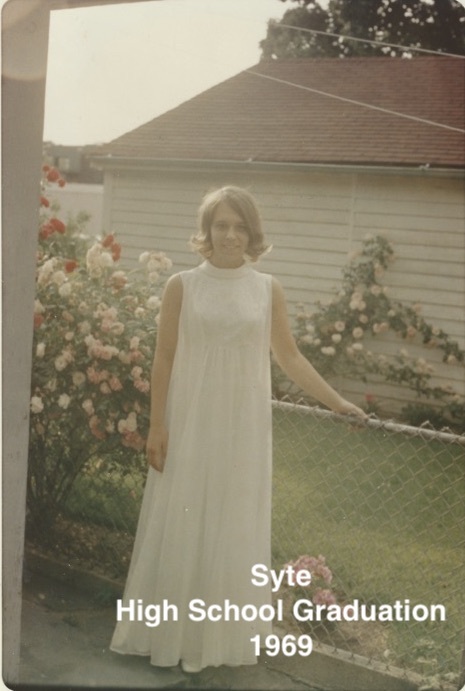 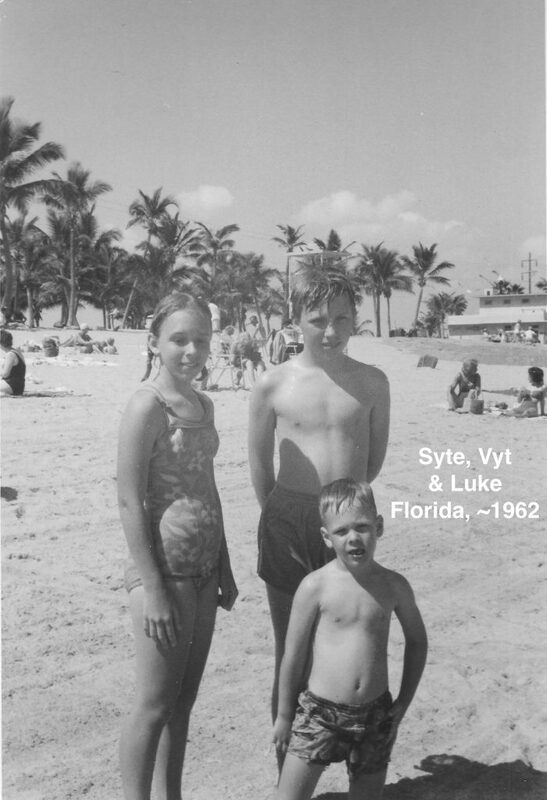 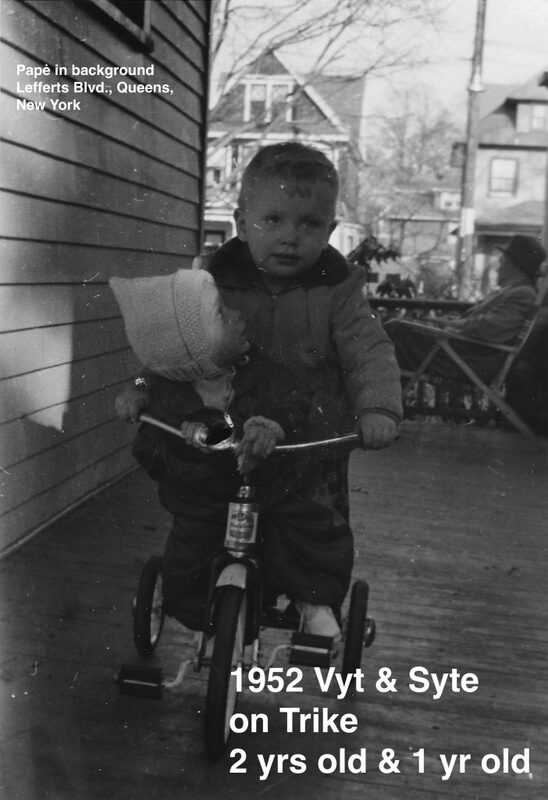 In New York he met Rūta, married in 1948, and had 3 children– Vyt, Syte and Luke. 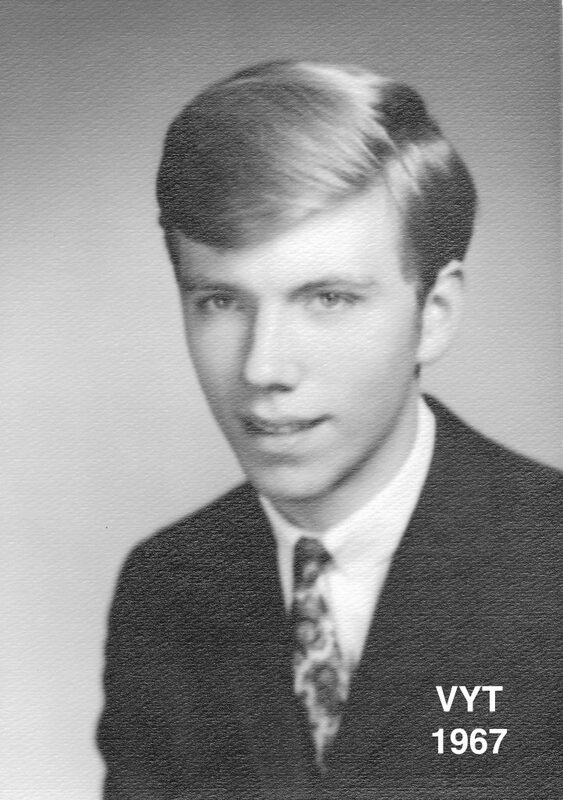 He obtained Bachelors and Masters degrees in Civil Engineering at night school, worked for the New York State Department of Transportation as a bridge supervisor, had an office in the World Trade Center towards the end of his career, and was invited to supervise the reconstruction of the Brooklyn Bridge in New York after his retirement. 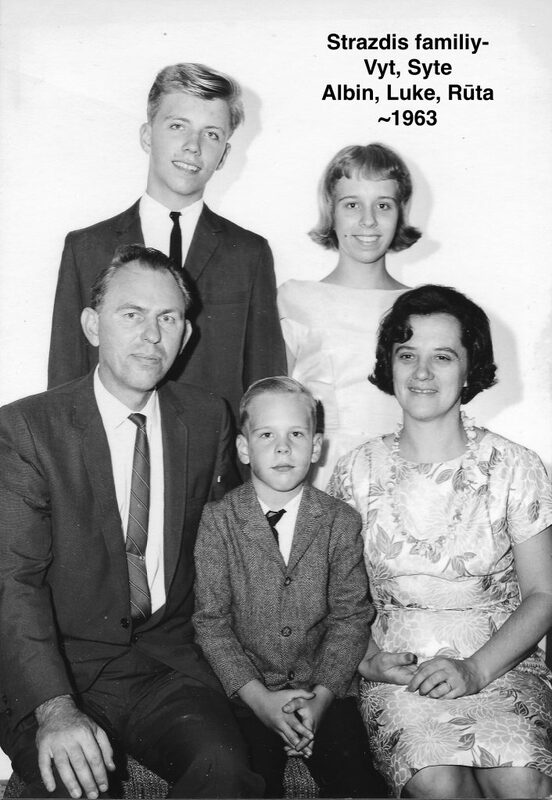 He retired to Sunny Hills, Florida, with his wife around 1987. 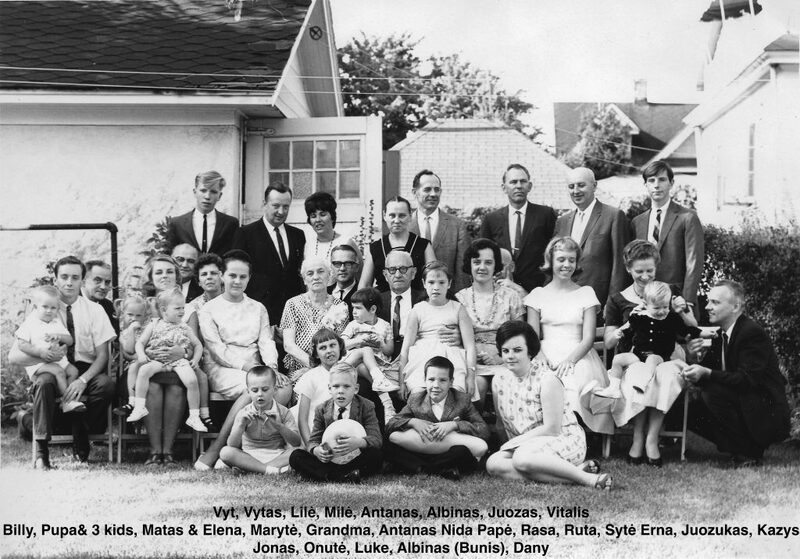 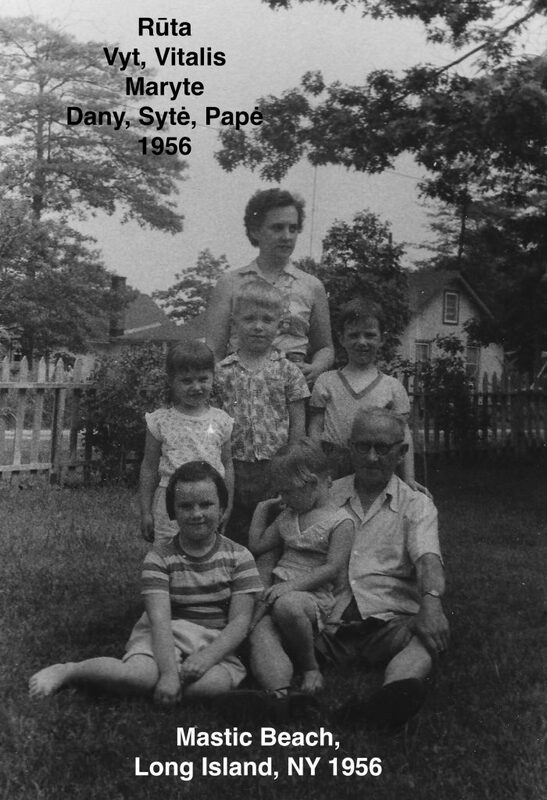 This photo was taken soon after Antanas (back row, far right) was reunited with his family in New York ~1963. 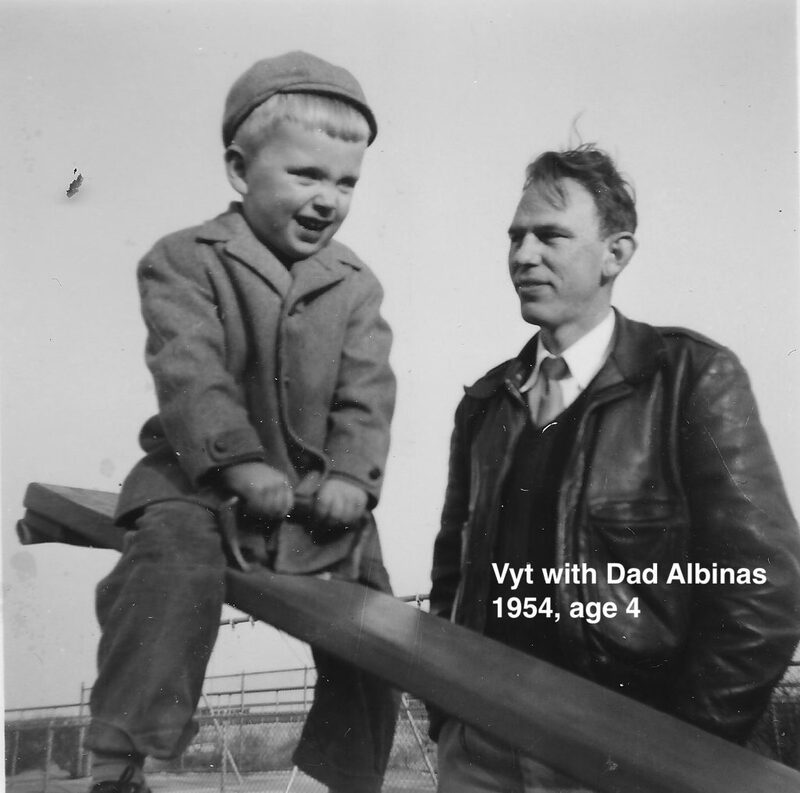 Antanas had spent years in a Siberian concentration camp, deported there by Soviets during World War II, despite being an American born citizen, who thought he would be safe staying in Lithuania during the war after the rest of his family had fled. 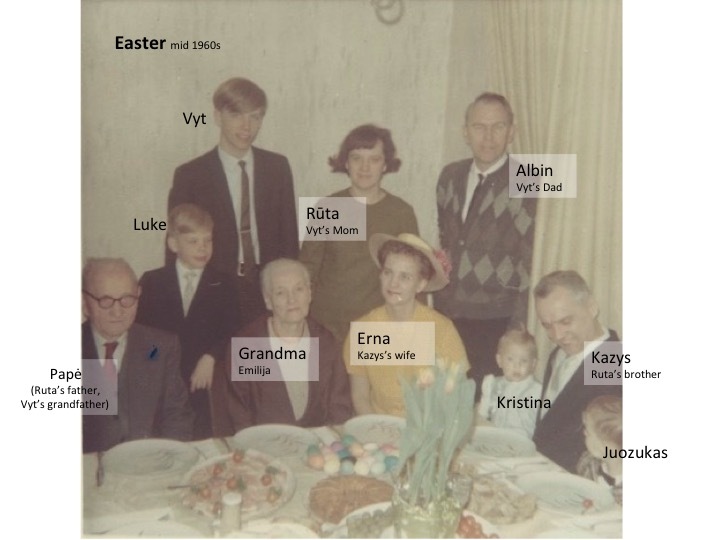 Tėti’s (Albin’s) parents, Marija & Kazimieras Strazdas, were deported to Siberia by the Soviets during World War II, for being “capitalists,” after their one acre farm, one cow and one sewing machine were confiscated. 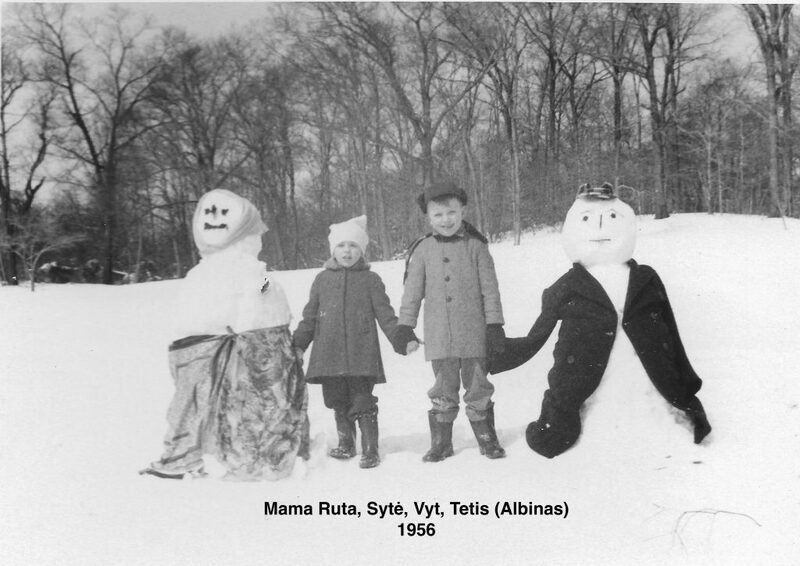 They struggled to survive in Siberia for almost 2 decades, before the Soviets released them to Tėti after they became pensioners. 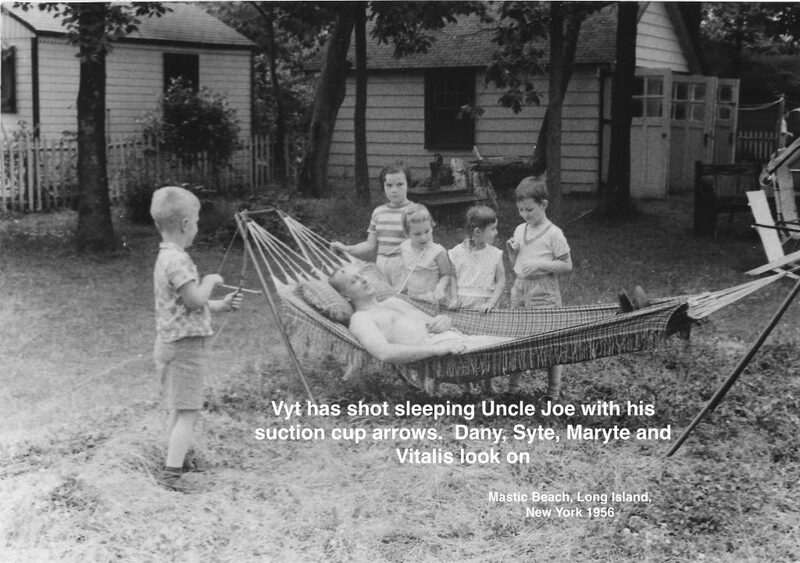 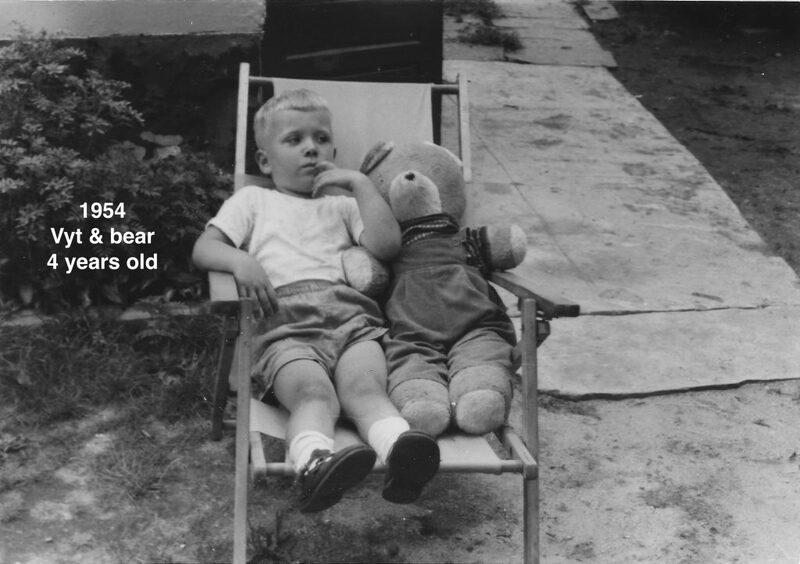 They were reunited with their children in New York around 1964.